Most of the affluent population in the US is upper-middle class, not filthy rich. Many are more distant financially from “the 1%” than they are from non-affluents. They typically bring a middle-class sensibility to how they see themselves and spend their money. Households with annual income of $125,000-plus account for more than one-fifth of total US households. There has been growth in the ethnic diversity of affluents, though non-Hispanic whites remain a large majority. Dual-income households are the norm among affluents, with a pair of salaries often pushing a married couple into affluent status. Still, men tend to be the primary earners. Households in the $200,000-plus bracket annually spend nearly twice as much as those in the $100,000 to $149,999 class—$158,896 vs. $84,154 in 2016. Affluent spending is far above average in discretionary categories like entertainment. 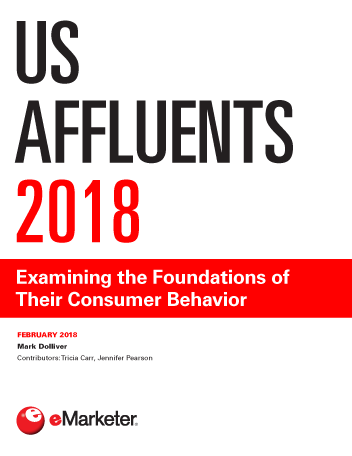 But affluents also spend more on average for used vehicles than total households do. Affluents are bargain hunters. Even in the $250,000-plus bracket, nearly half wait until things go on sale before buying. Usage of coupons is widespread, as is purchasing of private-label goods. Affluents are hardly gluttons for luxury goods. Many seldom purchase them. For that matter, many feel they cannot routinely afford to do so. "Bargain hunting is standard procedure for many US affluents, and not just for those at the lower rungs of affluence."